The weather has turned, and I have felt myself craving something warm and comforting. Over the last week I have been thoroughly obsessed with the life of Katniss, a character from “The Hunger Games.” I have lived and breathed the three Suzanne Collins novels which depict the fictional life of this seventeen year old girl as she fight for her life, and the lives of those she loves against the manipulating ruling body called the Capitol. During the story this half starved heroine is periodically given glorious food by the Capitol. The author goes into great detail to describe every morsel of delicious food. 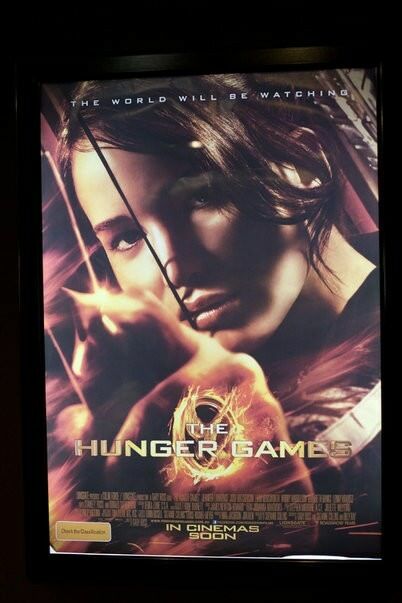 Katniss experiences flavours she has never been privileged to before. One such dish was a Lamb and Plum Casserole which was described as her favourite part of visiting the Capitol. Given that I have devoured the three books in record time, I decided to take a leaf out of Suzanne’s book (so to speak). 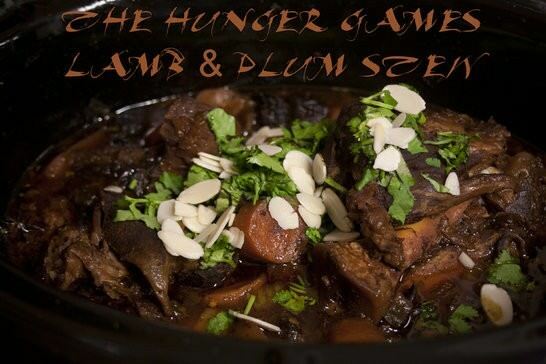 I have tried to create a slow cooker dish to emulate Katniss’s favourite dish. I hope it is what the author had in mind. The flavour of the casserole was sweet and warming, and if I was hiding in a cave I would love this dish to be parachuted into me. 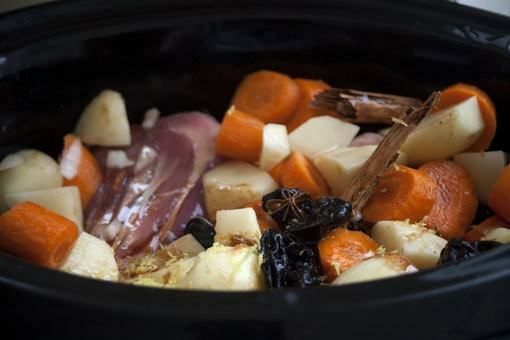 Place all the ingredients except the garnishes in the slow cooker by about 9.30am. Allow the dish to cook on automatic until you are ready for the evening meal. 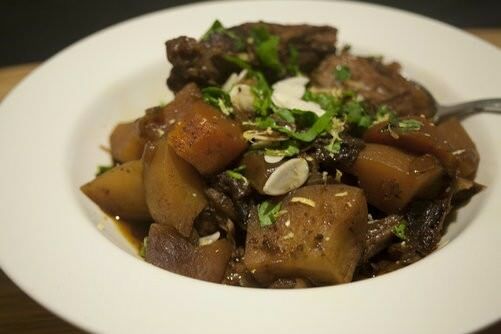 Serve with cooked rice, lemon zest, coriander and almonds. I thoroughly enjoyed the flavours of this dish and I have to thank Suzanne Collins for the inspiration. 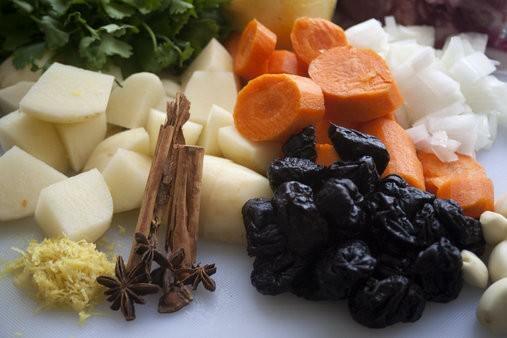 I will be making the dish regularly throughout winter. I noticed that Lorraine from Not Quite Nigella is a fan of the book and has also interpreted the dish. Please have a look at her website, I would love someone to try both dishes and let me know what you think.